SABC1 looking for new voice-over artists in web audition search, to read links for all its programming and generic promo's. SABC1 is looking for new voice-over artists to do what is known in the biz as "links" and to introduce different shows on the channel during prime time, do general SABC1 promo's, the obligatory "tomorrow on ...", and for general entertainment as well as its soaps line-up. People who are between 18 and 40 and who are interested have to digitally record one of the pre-written scripts and then email it to vos@sabc1.co.za in a size no larger than 5MB. Existing employees of the SABC and related people are not allowed to enter. Each of the recorded demo promo's should not exceed 30 seconds in length and the closing date is Sunday 4 March. The SABC all entries become the property of SABC1. SABC1 told TVwithThinus the channel is looking for 8 fresh additional voices to cover language and gender requirements. Successful candidates will be notified during March and will have to attend a live studio read, after which the final candidates will be selected. SABC1 doesn't specify what successful voice-over artists will be paid. Parliament to fire South Africa's criminal broadcasting regulator chairperson Rubben Mohlaloga who is a convicted fraudster. South Africa's parliament will soon fire the criminal and broadcasting regulator chairperson Rubben Mohlaloga who has been found guilty of fraud and money laundering in mid-January in the Pretoria Specialised Commercial Crimes Court. On Tuesday parliament's portfolio committee on communications gave the convicted fraudster who is the chairperson of the Independent Communications Authority of South Africa (Icasa) 5 days to say why he shouldn't be fired. Rubben Mohlaloga is still being paid a full salary. He is expected to be sentenced on 3 April. Rubben Mohlaloga joined Icasa council in mid-2013 and was appointed as acting chairperson in 2017. His term expired and he was again appointed as permanent Icasa chairperson in December 2017 and his appointment rubber-stamped by the former president Jacob Zuma. Actress Vatiswa Ndara joins SABC2's Venda weekday soap Muvhango as new 'dangerous widow' character Moliehi Zikalala. 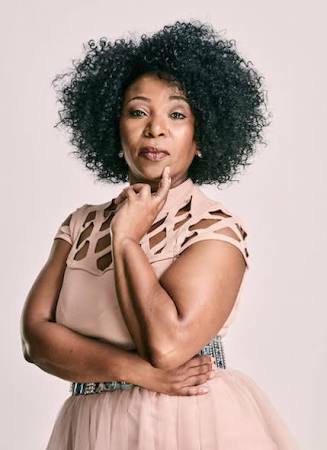 The veteran actress Vatiswa Ndara, has joined SABC2's Venda weekday soap Muvhango as a new character Moliehi Zikalala. Vatiswa Ndara as her character will make her on-screen debut in Muvhango on 29 March on SABC2. Vatiswa Ndara previously had roles in SABC2's Home Affairs, e.tv's Harvest and Mzansi Magic's (DStv 161) Igazi. The character of Moliehi is described as a "streetwise and feisty businesswoman who is a mother and widow with a dangerous streak". Muvhango is produced by Word of Mouth Productions. Debbie Meyer, head of current affairs at eNCA and e.tv, leaving after nearly 17 years, says 'it's something I have been thinking about for a while'. eNCA and e.tv is losing its head of current affairs, Debbie Meyer, as the next high-profile name who is exiting the eMedia Investments TV fold. Her resignation comes at the same time as that of eNCA's star court and crime reporter Karyn Maughan whose last day at eNCA (DStv 403) is today. While some eMedia Investment staffers said Debbie Meyer is leaving as part of a retrenchment deal, Meyer denies it and says it's her decision to leave and that she has been thinking about it for a while. Debbie Meyer has been the executive producer of current affairs at eNCA and e.tv. e.tv was asked in an emailed media enquiry last week why Debbie Meyer is leaving and who will be replacing her, but didn't answer the question. Debbie Meyer told TVwithThinus that "after nearly 17 years at e.tv and eNCA, I have decided to move on to the next phase". "I have loved working here, starting off as a producer on 3rd degree and then heading up current affairs. It’s something I have been thinking about for a while, and now that my youngest son has finished school, the timing seemed right." Asked what she would be doing next, Debbie Meyer says "I will be taking a break for a few months, which will include some travel. After that, I’ll explore some freelance options". "My journey here has been an incredible one, and I have worked on and started up some great shows – Late Nite News (LNN), Checkpoint, Backchat, Tech Report, Justice Factor to name a few. I will miss the heartbeat of this place a lot – it’s in my blood and been part of me for so many years." TOLDJA! e.tv self-packaged eBella channel targeting women with telenovelas and reality shows coming to Platco Digital's OpenView HD and MultiChoice's DStv from 5 March. Exactly as TVwithThinus reported a week and a half ago already, MultiChoice and e.tv today put out individual statements, issued separately, confirming that the eBella channel will start on 5 March on DStv on channel 159 and on Platco Digital's OpenView HD (OVHD) on channel 109 on 5 March. Hilariously MultiChoice has been running promos for eBella on its DStv guide channel 100 but when asked about it and what MultiChoice is showing viewers, didn't want to talk about it. TVwithThinus on Friday asked MultiChoice about eBella and was told as usual that when there's an announcement to be made about a new TV channel, it will happen. On Monday afternoon MultiChoice issued a general statement about eBella to all press, not first to those journalists who actually made effort, showed interest and asked. MultiChoice's statement, tailored to MultiChoice's DStv audience and completely ignoring eBella being available on OpenView HD as a free-to-air satellite TV platform, said the female-centered channel - as reported before - will be targeting a female audience. "e.tv celebrates women through campaigns and programming and now we can extend this messaging into an entirely new channel," says Marlon Davids, managing director of e.tv in the MultiChoice statement. "eBella is a strong addition to DStv and we know that our viewers will enjoy the channel’s mix of speciality shows and telenovelas that empower and celebrate the female market". "Our focus is to offer our customers on all packages new and fresh entertainment – giving them access to the stories they want to hear. eBella is all about women and celebrating our influence on the global landscape as empowered and bold individuals," says Yolisa Phahle, CEO for general entertainment at MultiChoice. On MultiChoice satellite pay-TV offering eBella will be available to DStv Premium, DStv Compact Plus, DStv Compact, DStv Family and DStv Access subscribers within South Africa - just not DStv EasyView although e.tv's other freely available channels like eExtra and eToonz+ are. Three and a half hours after MultiChoice, e.tv issued their statement about eBella at 15:20 on Monday afternoon, tailored to e.tv and OpenView HD's audience and completely ignoring eBella being available on MultiChoice's DStv as a satellite pay-TV service. e.tv says "OpenView HD continues to bring quality entertainment to over one million homes, with an additional channel being added to the bouquet" and that "eBella, the new member of the eFamily of channels, will premiere on Monday, 5 March 2018. Viewers can expect a wide array of inspirational content that reflects the lives and stories of women from around the world." "eBella is all about women and celebrating their prominent influence in the global landscape. The choice selection of the channel's premium local and international content offering reflects women in today's society as empowered and bold individuals." "Whether it's an award-winning series, indulgent lifestyle show or a ground-breaking movie, everything on eBella will satisfy viewers with a dose of guilt-free entertainment." In e.tv's statement Marlon Davids, managing director of e.tv, says, "the new channel will bolster the eFamily of channels' impressive offering. e.tv has always celebrated our supreme women through campaigns and programming and now we can extend this messaging into an entirely new channel." "eBella is a strong addition to the OpenView HD platform, and we know that our viewers are going to indulge and enjoy the content immediately," says Marlon Davids. e.tv says OpenView HD will be "growing its unique content offering with the addition of more channels in the near future, catering to viewer demands for more quality television viewing". eBella will show telenovelas from around the world like including So Much Love (the Spanish telenovela Tanto Amor that's been on the EVA channel on DStv), an Indian Muslim soap opera called Qubool Hai, and a Turkish telenovela Fatmagul. eBella will also show lifestyle and reality shows catering to a female audience including Secret Guide To Fabulous, Princess, The Dog Whisperer and Beverley’s Full House. The launch of eBella is the first new channel being added to OpenView HD in a while with the platform that has scrapped a number of non-owned channels over the past few months. eBella is also an e.tv-packaged channel meaning that e.tv has direct and full control over the channel's content and schedule, as well as full responsibility for its performance ratings wise. The addition of eBella comes shortly after the launch of Moja Love on DStv on Valentine's Day this month, targeting a black female audience with locally produced programming centred around love and relationships. INTERVIEW. 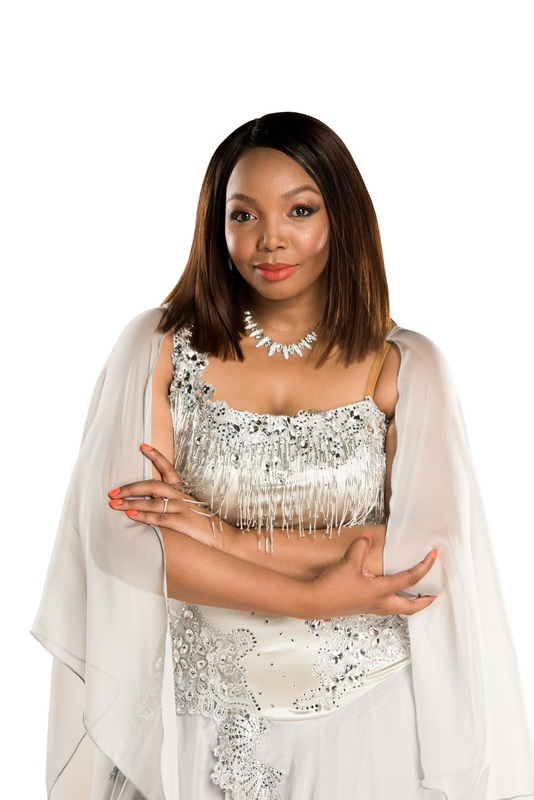 Thembisa Mdoda on exiting Dancing with the Stars SA on M-Net: 'I'm really at peace'. Last night Thembisa Mdoda and her professional dancing partner Devon Snell became the second dancing couple voted off Dancing with the Stars SA on M-Net (DStv 101) when their combined score from the judges and viewers was the lowest. Thembisa Mdoda tells TVwithThinus she's really at peace with leaving, had a great time dancing, love the judges and want them to be her friends, and why Dancing with the Stars SA was like a rough diamond to her. Is there anything you think you could have done differently? No. Not at all. [ha ha.] I mean I had an incredible, a beautiful journey. I had amazing support. I think when the time is right it's time to move on and this is my time. What has the experience been like for you? It's been a beautiful experience because it's like a rough diamond. It's beautiful, it requires work, it's heavy. All in all its just heart, it's passion, it's been incredible. I had the utmost fun on this production. With the injuries and the fatigue and everything that stood in our way, we overcame everything and we put on an incredible show. I can only be happy. What did you think of the judges? I love them. [ha ha.] You know, I actually want them to be my best friends [ha ha]. I love them. They are trained dancers. They are looking at and judging something they have loved all their lives, so they're passionate about it, and they'll be detailed about it, and they'll tell you where to work and what to do. So I love them, they were incredible. And I could see on their faces that they were shocked [that I'm leaving] but I was like "It is okay". I will forever be grateful for their guidance. What was the hardest for you? I think the hardest was the time. I was juggling a lot with work and doing this production. A lot of people take a sabbatical and I didn't. So it was a lot just trying to make sure everything fits into the schedule. What did you not expect about this journey? I didn't expect to make so many relationships and connections - ones that will be long lasting. I know that even after this competition the family and the contestants we will remain friends which is incredible. What did you learn about yourself and how do you think you've changed? I think a lot changed for me, from my body to my mindset to my heart and to my soul. I think personally I've gained a lot of myself, which is something that I always appreciate. How do you feel about being voted out and did you expect it? I don't know how to - if I say I'm happy then [ha ha] people are going to go "Hey what do you mean?" I'm really happy! And I'm really at peace. I feel that everything I came to do on this show I did and God is closing this door, and opens another. That is exactly how I feel. What the celebrity contestants in Dancing with the Stars SA on M-Net will be dancing tonight as a 2nd person will get send home. A second dancing star will be getting the boot tonight in Dancing With The Stars SA on M-Net (DStv 101) and M-Net is urging voters to register by 16:30 this afternoon at mnet.tv/dwtssa if they want to vote and try to prevent their favourite from leaving the glitter ball reality show. This past Sunday Sunday M-Net viewers were glued to the first Dancing With The Stars SA Live Results Show at 20:00 to find out which celebrity and his or her professional dancing partner would be the first to hang up their dancing shoes. Then came the shock: The adorable comedian Ebenhaezer Dibakwane and the kykNET soap Suidooster’s Eden Classens were the ones who found themselves heading into a dance-off to persuade the judging panel to save them for the next round. With Ebenhaezer Dibawane and his dancing queen, ballroom expert Nombulelo Hlathi taking the final bow, the eleven remaining celebs will show-off their newly-acquired moves this evening in the next live Dancing With the Stars SA Extravaganza between 17:00 and 19:00. Each dancing pair had to master a new dancing style and will have to wow both the show’s panel of four judges as well as the voting public. The judges and voting public have a 50/50 say in determining the ranking of the competitors which determines which two couples have to dance again during the Live Results Show after Carte Blanche at 20:00. “Remember, if you don’t vote, your favourite may just end up in the dance-off,” says Lani Lombard, M-Net channels’ head of publicity. “It’s possible that there are thousands of viewers out there who were left disappointed last week just because they weren’t registered to vote in time." As the voting for Dancing With The Stars SA and the Live Results Show are playing out live on Sunday nights, it’s a prerequisite to be registered as a voter by 16:30 on a Sunday evening. “It’s a once-off registration and you have 100 votes on the website and on mobile. In other words, 200 in total,” says Lani Lombard. “You can also vote for more than one pair, if you can’t make up your mind. And be sure to tune in from the start of the show to avoid missing out on a potentially breath-taking performance!" It’s a Cha Cha Cha challenge for soccer star Delron Buckley and 1Magic (DStv 103) actress and TV presenter Thembisa Mdoda, while Eden Classens is hoping to Tango his way back to the top. But will they be able to keep up with singer-songwriter Connell Cruise who made it to the top of the judges’ leader board last week? The style Connell Cruise sets out to perfect this week is the Viennese waltz. The former rugby player Thando Manana, who has become known as the show’s gentle giant, is also ready to charm the audience with African Smooth and netball goal shooter Vanes-Mari du Toit is planning to sway the public to vote with fabulous Foxtrot. Dancing with the Stars SA is produced for M-Net by Rapid Blue and the show’s social media hashtag is #DWTSSA. Stellenbosch wine festival back for 2018, switches to cards for tastings. South Africa’s premier wine festival, the Stellenbosch Wine Festival 2018, returned this weekend and ran from Friday until today, with the 3-day event offering the best of the Stellenbosch Wine Routes and now also doing cashless cards to do tastings. 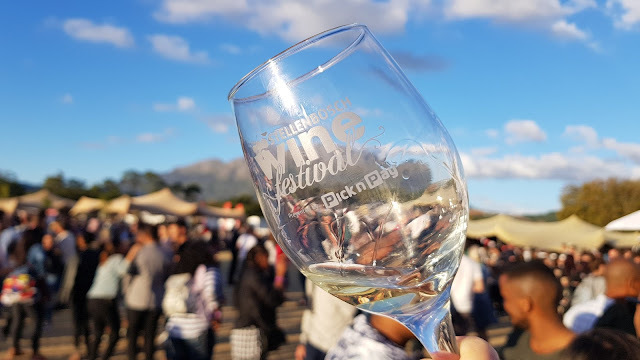 The Stellenbosch Wine Festival ran from Friday 23 Feburary to Sunday 25 February at the picturesque Coetzenburg sport grounds and this year included a tiered approach in terms of a general wine tasting experience, as well as a premium wine tasting experience. In the general tier, visitors could taste and buy wines from 60 wine farms. A ticket costing R150 on Friday and R190 on Saturday and Sunday included a branded wine glass and a cashless card with 20 pre-loaded tastings. The premium wine tasting experience costing R350 includes award-winning Stellenbosch wine of origin wines, seven cultivar-themed tables and a chance to meet the winemakers, a branded wine glass for tasting, and a cashless card with 30 free pre-loaded tastings, as well as a Charcuterie platter per person. The Stellenbosch Wine Festival sponsored by Pick n Pay had a Gourmet Food Lane with live entertainment and again a really great kids play area (2 – 12 years) with a lot of activities where children can be dropped off for a period of time and will be looked after and entertained. Children under 18 can enter the festival for free. The Stellenbosch Wine Festival has now, in keeping with contemporary trends, switched to a cashless system, allowing visitors to enjoy the festival with a safe and manageable event currency solution. “Every stand you purchase from, whether you’re buying wine by the bottle or food from Gourmet Lane, will be set up with a point of sale system that works like a debit card,” says the festival. The cashless card is included in the ticket price and comes pre-loaded with either 20 or 30 tastings, depending on the ticket package bought. Cards that run out of credit or tasting coupons can be reloaded at the branded cashless area. BREAKING. Organisers dramatically cut down viewers' choice from 16 to just 7 categories as entries open for 6th Africa Magic Viewers Choice Awards; M-Net and MultiChoice's AMVCAs set to take place on 1 September. The "viewers choice" part has dropped by a staggering third, with no explanation, for the 6th Africa Magic Viewers' Choice Awards 2018 set for September, which Africa's viewers who will now only have a say about who wins in 7 out of the 27 categories. While entries for the 6th Africa Magic Viewers' Choice Awards 2018 will open on 1 March, this year the actual choice of viewers as to who should win, will represent just a quarter of the award show's winners - 25.92% to be exact. Entries to submit work will open for Africa's film and TV producers on 1 March and close on 30 April, and South Africans are welcome to enter - while sadly the say that viewers have in deciding winners is being dramatically cut down although it's still called a "Viewers' Choice" awards ceremony. The 2018 AMVCAs done by MultiChoice and M-Net will take place in the third quarter of this year, on 1 September 2018. The AMVCA organisers didn't bothered to explain why the viewers' choice has been dramatically reduced. Previously viewers across Africa chose 16 of the 27 categories in 2017. This has been gutted with viewers who will now just choose a shocking 7 of the 27 categories in 2018. In January TVwithThinus reported that the Africa Magic Viewers' Choice Awards isn't scrapped despite Nigerian trash reporting erroneously claiming that the AMVCAs has come to an end. M-Net explained that the AMVCAs didn't take at the beginning of this year but that the annual pan-African award show celebrating the continent's film and television as well as its producers and stars is going ahead. M-Net said that it deliberately decided to move the AMVCAs to the latter part of this year to unclutter the event television schedule. "Nearly one year after the last AMVCAs, we are pleased to announce the call to entry for 2018 edition of the awards," says Wangi Mba-Uzoukwu, M-Net West Africa director. "The African movie and television industry is brimming with exciting talent, and at Africa Magic we contribute to the industry by not only giving these talents the platform to showcase their skills and passion, but by celebrating their achievements whilst also encouraging them to continue honing their craft." The Africa Magic Viewers' Choice Awards celebrate filmmakers in different categories ranging from acting and directing to script writing and cinematography. For 2018 M-Net says "a number of awards in different categories will be presented ranging from acting and directing to script writing and cinematography." Other categories will include: short film or online video, soundtrack, costume designing, sound and lighting. For 2017 there were 27 categories in total with viewers who decided 16 and 11 who were decided by the AMVCA panel of judges. M-Net and MultiChoice are however dramatically cutting viewers' choice down in the AMVCAs for this year, limiting true "viewers' choice" to just 7 of the 27 categories and with 20 decided by the AMVCA judges. Its disingenuous from M-Net's Africa Magic and MultiChoice to call it a "Viewers' Choice Awards" when the vote from viewers suddenly count just 25.9%. It's also very bad from M-Net's Africa Magic and MultiChoice - that presumably want viewers' buy-in for a show premised on a popular vote - but signaling that the very viewers expected to vote and to vote are not actually trusted in their decision-making and choices. Meanwhile John Ugbe, MultiChoice Nigeria's managing director, in a statement says he is delighted "at the the growing success of the Africa Magic Viewers’ Choice Awards". "We have been inundated by calls from filmmakers across Africa with everyone asking when the AMVCAs would return for another edition. After a brief hiatus, we are thrilled to announce that 2018 will indeed mark the sixth consecutive year of MultiChoice and Africa Magic successfully hosting the AMVCAs and we remain proud of the improvements seen in the industry since the inception of the awards as we know that these cannot be ignored or overstated." "Furthermore, our continued investment demonstrates our dedication in helping unearth and celebrate talent on continent and we believe that the 2018 edition of the AMVCAs will leave an even bigger impact on the African film production industry than the previous five." Entry for the 2018 Africa Magic Viewers' Choice Awards is free and the closing date for submissions is 30 April 2018. Films, made-for-television movies or television series previously entered into or nominated for an award, or awarded a prize in another film and television competition are eligible to be entered for the AMVCAs, and all films, made-for-television movies or television series are eligible for entry to the AMVCAs if they are broadcast or publicly screened during the period of 1 October 2016 to 31 March 2018. 1. Prepare a 2 to 3 minute long showreel for online submission. 2. Log on to www. africamagic.tv and navigate to the submission page. 4 Industrial street, off town planning way, Illupeju, Lagos. 137 Bram Fischer Drive, Randburg, 2123, South Africa. Local Production studio, Jamhuri Grounds off Ngong Road, Nairobi, Kenya. ANN7's Midrand headquarters raided by immigration officials from the department of home affairs after Indian worker visas have apparently expired. The Midrand headquarters of the controversial ANN7 (DStv 405) channel was raided by immigration officials on Thursday afternoon, the department of home affairs confirmed. The surprise raid comes as the work visas of several ANN7 staffers from India, including several managers, had apparently expired. Mzwanele "Jimmy" Manyi didn't respond to media enquiries about the home affairs raid on Thursday. His Afrotone Media Holdings now owns the notoriously biased "Guptanews" channel on DStv that MultiChoice is shutting down at the end of July. Fugitive Guptas as currently being hunted by South African law enforcement as they continue to evade the law that is looking for them due to their connection to widespread alleged "state capture" in South Africa. The work permits of several ANN7 staffers from Indian, including multiple managers, have apparently expired, and they allegedly kept working. ANN7 insiders said Indian workers were herded into the one green room where they were made to wait, while ANN7 staffers looked on. ANN7 staffers said the home affairs check was "completely unexpected". The department of home affairs in a statement said that it had conducted a "routine inspection" at ANN7. "As part of its mandate, the inspectorate directorate of the department undertakes regular inspections on the basis of information provided to them, which information would demand a thorough investigation including in loco inspections." "In this regard, our officials visited the ANN7 studios to verify information related to visas of certain individuals employed by the organisation". "Once verified, the department will release the findings of the inspection." Wendy Williams abruptly ends her BET talk show for a 3 week vacation after Graves' disease diagnosis; tells women to 'stop putting everyone else first'. Wendy Williams (53) is abruptly taking a 3 week holiday from her The Wendy Williams Show talk show on BET (DStv 129) after last week's sick leave due to flue, with the weekday talk show show that will go into reruns as she deals with her diagnosis of Graves' disease. In a "special message" on Wednesday, Wendy Williams told her audience that the talk show is stopping production for a 3 week break after she has been diagnosed with the autoimmune disease, Graves' disease, in addition to her hyperthyroidism that she was aware of previously. "My doctor has prescribed ... are you ready? As of today, three weeks of vacation," said Wendy Williams. "What? Who are you? I was pissed." 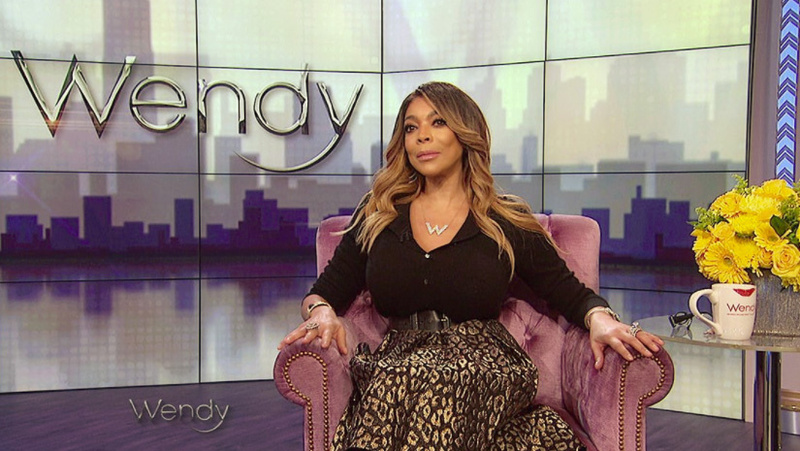 Wendy Williams suddenly cancelled her show last week from Wednesday to Friday due to flu but now her talk show will again be going into repeats for a longer period. Wendy Williams however promised that she might be back sooner, saying she could maybe return "in two weeks. I’m not an heiress. Who is going to pay my bills? Are you serious? I’m just saying, I come from working class." "Graves’ disease squeezes the muscles behind the eyeballs,” Wendy explained, saying that it has made her eyeballs twitch. Wendy said she also had a message for women. "What I want to say to women, more than men, is stop putting everyone else first because if we're not good, they're not good." In a statement The Wendy Williams Show says "Wendy is a true champion and has never missed a day of work. But her health and well-being must be put before all else". "Wendy has been openly dealing with her Graves’ Disease for many years in addition to hyperthyroidism. Yesterday, Wendy’s doctor prescribed a necessary three weeks of rest to get her levels and medication in sync. The show will be in repeats during this unplanned hiatus. A live show was produced today so that Wendy could speak directly to her fans and explain her condition." MultiChoice cuts Showmax price in half for Compact subscribers; price dropped from R99 to R49 per month. MultiChoice has decided to cut the price of its Showmax subscriptions in half for its largest group of subscribers with DStv Compact Plus and DStv Compact subscribers who will see a price drop from R99 to R49 per month. Top-tier DStv Premium subscribers already get access to Naspers' subscription video-on-demand (SVOD) service for free until March 2019, with Showmax that was folded in under MultiChoice in September 2017. "More and more customers are telling us they love to binge-watch box sets on DStv Catch Up and Showmax," says Calvo Mawela, MultiChoice South Africa CEO. "It's the way the world is moving and that's why we're offering all our Compact Plus and Compact customers Showmax at a big discount, so they can enjoy this exceptional experience". A Showmax subscription gives users access to two concurrent streams on different devices. Parents can watch their shows on a flatscreen TV while the kids watch cartoons on their tablet. Showmax allows customers the option to download up to 25 TV shows and movies to their smartphone or tablet for viewing later. A link has been added to the DStv Now app with DStv subscribers who can use up to 4 mobile devices such as smartphones and tablets to access the DStv Now app, stream live television channels, and stream or download Catch Up content linked to their packages. South African television slammed in parliament for its ongoing shabby treatment of deaf and hearing-impaired people. South African viewers with disabilities are tired of ongoing empty promises by the government and broadcasters to do more and what they're expected to do, like in other countries, to make TV programming more accessible, and on Tuesday broadcasters were slammed in parliament for its ongoing shabby treatment of the deaf and other people with disabilities. While the rest of the world's TV industry is much further advanced than South Africa with things like instant subtitling, closed captioning (CC) and sign language interpreters for important TV programming, the country is still struggling to meet the very basic needs and mandated requirements for people with disabilities watching television. While even YouTube now provides automatically provides a toggle for subtitles and closed captioning on videos, South African television lags far behind its now decade-old and hugely hyped promises of digital terrestrial television (DTT) that would offer similar kinds of services for hearing-impaired viewers. On Tuesday, Wilma Newhoudt-Drunchen, ANC MP and South Africa's first deaf female member of parliament has had enough, and made her frustration known about the ongoing lack of consideration from the government and South African broadcasters when it comes to deaf viewers. Ironically her speech - available on YouTube - comes with closed captioning in a way that it wasn't provided by the SABC and the Parliamentary TV channel and should be done on South African television according to regulations set out long ago by the broadcasting regulator. "The deaf people have been watching what's been happening over the past two years. And when the previous president [Jacob Zuma] announced on TV that he would resign, the national director of the Deaf Federation of South Africa got a lot of messages on his phone because there was no interpreter provided," said Wilma Newhoudt-Drunchen. "What's happening? We don't understand what's going on. We also want to know what's going on in the country". "Unfortunately - fortunately for some people - and unfortunately for a majority of the people. You know, I can go to Sky News (DStv 402) - it's not our channel, it's not South African. It's fully sub-titled." "Why the president [Jacob Zuma] is talking, and the reason he is resigning - I had an opportunity to film it and put it on Facebook. To send it to other deaf people so that they can have a look and read why their president was leaving." "e.tv had nothing. SABC - our channel - had nothing. And I'm asking you to speak to the SABC. Important national news - people with disabilities need to be included, including deaf people with what is happening in the news." "I have to applaud DStv. Deafsa has been lobbying with them to make their programmes more accessible through subtitles. And I strongly believe that subtitles is the answer for literacy for children and adults. Literacy is very important." "Now DStv has added - it's not just Sky News - but they've added a children's channel, Nickelodeon, a channel for children, which is now subtitled. Not all of it, not all programmes, but some." "Department of communications, you need to lobby with the SABC. I have been on this committee for a very long time and I have lobbied and lobbied for access to information through subtitles. The best part where we can get access to information is on television. So please encourage the SABC to get more things subtitled. More is needed,especially in regard to current news and current events," said Wilma Newhoudt-Drunchen. Wilma Newhoudt-Drunchen also took the department of communications and the minister of communications, Mmamoloko Kubayi-Ngubane, to task for saying "the department will publish digital radio directives to address issues of the deaf. Me as a deaf person cannot hear the radio. Deaf people do not hear the radio." "If it's digital radio that becomes print, oh wonderful, I'm going to be very happy if whatever is said on radio is printed so that I can read it." M-Net working on a Xhosa king period drama set in the Eastern Cape and a Deon Meyer crime novel adaptation for 2018. M-Net is adding two new local productions, Trackers, a 6-episode Deon Meyer crime novel adaptation; as well as House of Phalo, a period drama focused on the rise of Xhosa in the Eastern Cape and the rise of King Phalo produced by Mfundi Vundla's Morula Pictures. M-Net says the pay-TV broadcaster remains committed to local storytelling and that the slate of new productions will provide compelling viewing for DStv subscribers and help to feed the growing global appetite for television drama series. "Audiences are also increasingly receptive to authentic, universal stories and this provides an opportunity for us to take African stories to the world." Trackers is an adaptation of the acclaimed South African crime writer Deon Meyer’s international best-selling novel. The 6-part series is co-produced with SCENE23, a new production hub created by Deon Meyer, Cobus van den Berg and Tim Theron, together with Three River Fiction, a London-based, independent production company. "It is a real pleasure and privilege to co-produce an international TV series based on my novel, Trackers – with South African talent, textures and accents,” says Deon Meyer. "Thanks to M-Net and Three River Fiction’s involvement, we are also delighted to have Robert Thorogood, best known for the Death In Paradise TV series, on board as the showrunner, leading our writing team". "Deon Meyer has been responsible for introducing millions of people across the globe to South Africa, so it made absolute sense to adapt one of his books for SCENE23’s first outing into the great unknown of the international industry," says Cobus van den Berg. "The global and critical success of Trackers made it the perfect choice to go with. As producers we’re really excited to join the current push to show the world that we’re not just a great place to come and shoot their films and series, but that our own stories deserve to be seen and enjoyed by the global audience. But we can’t do it alone, and SCENE23 is extremely proud to be partnering with M-Net and Three River Fiction to make this project a reality." "Three River Fiction is delighted to be working with SCENE23 and M-Net on Trackers,” says Jonathan Drake, CEO and co-creative director at Three River Fiction. "Deon has written a thrilling book, and working with Deon and Robert Thorogood to adapt the story for television is a really exciting opportunity. M-Net is the ideal home for Trackers – a story rooted in Africa but with strong international appeal. It is already generating strong interest from other networks around the world." A uniquely South African historical drama series is also currently in production - House of Phalo, a telling of the first modern history of the Xhosa and the rise of King Phalo. Mfundi Vundla’s Morula Pictures is behind House of Phalo. Vundla is renowned for his game-changing television, having created South Africa’s first soapie Generations in 1994 on SABC1. House of Phalo will appeal to fans of series like Vikings and Game of Thrones that's on M-Net. "This story is about shattering the popular narrative that the history of our people began in 1652 with the arrival of Jan Van Riebeek," says Mfundi Vundla. "There is indisputable evidence that Xhosa people have lived in the Eastern Cape since the 15th century." "It’s only through systematic erasure by colonialists and apartheid that we have lost part of this history. It was crucial for us then to treat this drama with the care and reverence it deserves. We hope we have managed to evoke a sense of pride in our history, a better understanding of the people we are, and a clearer vision of our present and future." 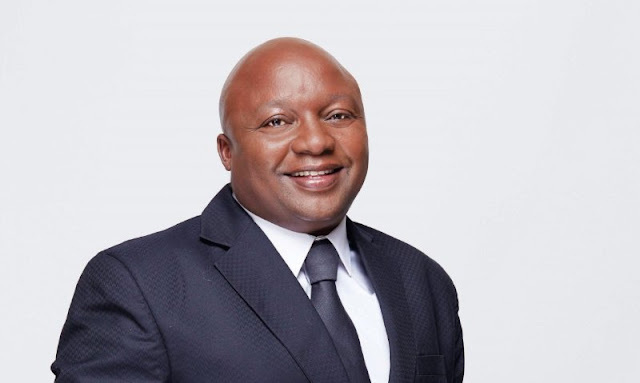 M-Net acting CEO since 1 February, Nkateko Mabaso says "co-productions are on the rise globally and they are certainly playing a huge role in the opportunity to build global audiences for local stories. 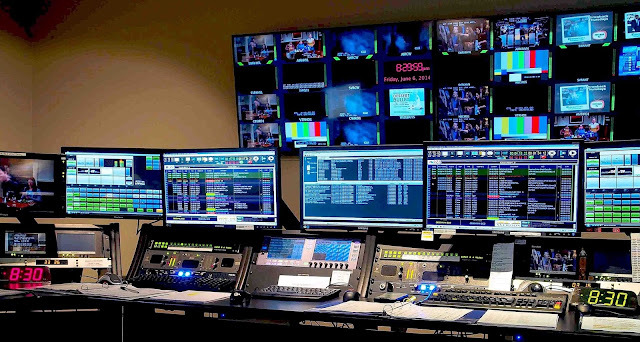 These days it is common to see productions that are a collaboration between broadcasters operating in different markets." "This is good for the industry as it has the potential to increase audiences," says Nkateko Mabaso. "We are thrilled to be working with some of the finest talent, both locally and abroad, to bring an increased focus to the incredible talent in South Africa." SuperSport kicks off coverage of 23rd Vodacom Super Rugby edition with an updated on-screen graphics package. 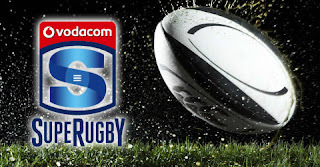 SuperSport has kicked off its Vodacom Super Rugby coverage with all 127 matches of the 23rd edition that will be broadcast live. SuperSport's coverage includes include an on-screen graphics refresh in line with the South Africa vs India cricket series look and is implemented both in studio and in match coverage. Each Super Rugby team will play 16 matches - 8 home and 8 away - and have to 2 byes. The tournament will conclude on 4 August. "Super Rugby is still the most vibrant rugby you can watch week after week," says Gideon Khobane, SuperSport CEO. "There’s nothing to match live sport. In Super Rugby, the action is never less than full-blooded and new stars are to be found everywhere. Our staff have honed their skills on what remains enthralling content and we look forward to reminding people what a great tournament it is." SuperSport says it will make use of analysts like Nick Mallett, Ashwin Willemse, Gcobani Bobo and Jean de Villiers, along with a commentary team. All afternoon and evening matches will enjoy studio build-ups with select games being presented from game venues. Travel Channel renews Expedition Unknown with Josh Gates for another 14 episodes. 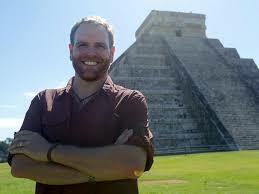 The Travel Channel (DStv 179 / Cell C black 255) has renewed its Expedition Unknown with the archaeologist and explorer Josh Gates for a further 14 new hour-long episodes. Production on the new season of Expedition Unknown will start in a few months. The series follows adventure-laden expeditions, giving viewers insight into the world’s biggest legends and stories. "Expedition Unknown continues to grow and take on a life of its own and Josh’s passion for adventure is a big part of that," says Courtney White, senior vice president of programming for the Travel, Food Network and Cooking Channel in America in a statement. "He’s the consummate storyteller whose knowledge of history and culture enhances each expedition and heightens the viewing experience, which is why fans can’t get enough." Despite trash reporting from Nigeria's press, MultiChoice Nigeria's DStv and GOtv in the West African country WON'T be shutting down in 2019 and forced to close. MultiChoice Nigeria and other pay-TV operators in Nigeria won't be shutting down in 2019 and won't be closing or forced to end their services like DStv and GOtv in the West African country next year, despite hugely erroneous and factually wrong trash reports by Nigeria's pathetic press. Last week one once again one idiot in Nigeria ran a factually wrong story that was quickly copy-and-pasted by the lame duck Nigerian press, clueless about proper background regarding their own country's TV and pay-TV industry, and breathlessly reporting that the Nigerian government is going to force MultiChoice Nigeria, StarTimes Nigeria and others to close down since their pay-TV licences won't be renewed. But is no longer unexpected from MultiChoice's second largest pay-TV market in Africa where irrational Nigerian resentment and hate against MultiChoice has been steadily building the past 3 years along with a litany of fake news reporting. Firstly, the Nigerian government needs all the local and foreign investment it can get and hold on to with the tanking Nigerian economy. It's not going to shut out companies and ironically will have to come up with a plan to keep multi-national companies who have been leaving Nigeria one after the other. 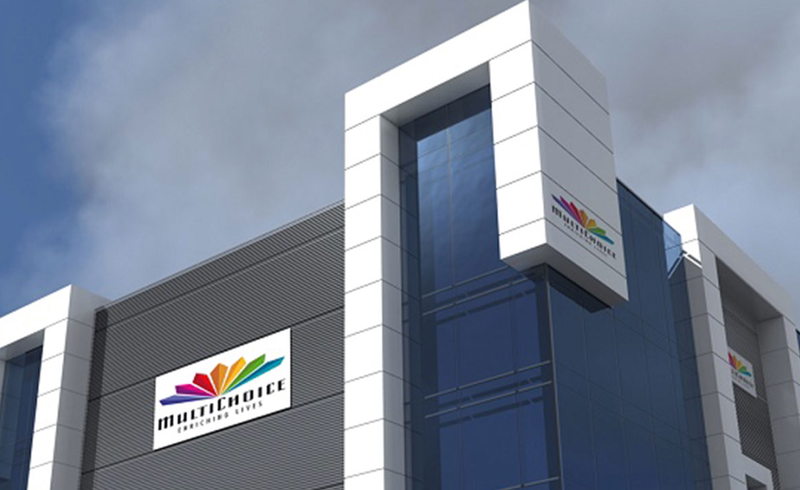 Secondly, MultiChoice Nigeria is one of the biggest corporate tax payers and corporate investors in Nigeria. The Nigerian government isn't going to close off this income tap. Thirdly, MultiChoice Nigeria is a massive source of employment for local Nigerians through the entire pay-TV value chain - think direct employees to installer agents. Take away MultiChoice and you increase joblessness directly. Fourthly, while Nigerians have made trashing MultiChoice and DStv a national pass time, DStv is the best of the available pay-TV providers since it launched DStv there in 1995 and GOtv in 2011. On a mere consumer leve, imagine the massive outcry when millions of ordinary Nigerian pay-TV viewers and even government fat cats lose their DStv and GOtv and EPL and other international soccer and telenovelas - there is no way the Nigerian government would risk that. Trash reporting had it that MultiChoice Nigeria will be forced to shut down DStv and GOtv since the pay-TV provider was notified by Nigeria's federal government that its operation in Nigeria will end in 2019 because its licence is expiring. Apparently its licence issued in 2014 won't be renewed because it was not in line with Nigeria's Digital Switch Over (DSO) White Paper. The so-called "DSO White Paper" is a policy. It's a regulatory framework and a broadcasting model for Nigeria'a migration process from analogue TV broadcasting to digital terrestrial television (DTT) - a mess that's only slightly better managed than South Africa's DTT disaster. MultiChoice Nigeria in a statement says "GOtv is provided under a fully licensed and registered entity in Nigeria, and this license comes up for renewal in March 2019". "As a law-abiding and committed Nigerian operator which has fulfilled and continues to comply with all regulatory requirements and applicable laws, it is not clear how or why this license would not be renewed, and as such the company will investigate further in the best interests of the many customers it serves in the market." "MultiChoice remains committed to providing its customers with a wide variety of quality entertainment through the usual best standards". The SABC launches the SABC Education Virtual Academy as a self-help, e-learning system to help matric learners. The SABC's SABC Education division has launched the SABC Education Virtual Academy (SEVA) as a self-help, e-learning system. The SEVA at www.seva.co.za, has been designed to help matric learners with their studies and equip them with skills to work independently. The SABC says SEVA will provide access to video lessons, flash cards, notes and online assignments on five critical learning areas: Mathematics, Accounting, English, Physical and Life Sciences for free. "It was important to create a platform like SEVA because we wanted learners to have easier access to our educational content," says Danie Swart, the head of SABC Education. Learners will be required to register on www.seva.co.za, using a smartphone, tablet or computer in order to access the learner support material. OOH, AWESOME. Ridley Scott's new epic-looking British navy period drama, The Terror, coming to AMC and SundanceTV on DStv and Kwesé TV from 27 March as an Express from the US title. 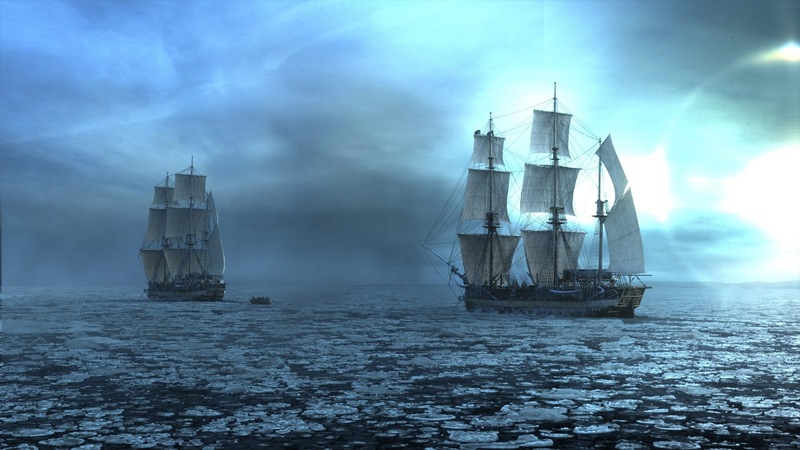 The amazing looking new premium TV period drama, The Terror, produced by Ridley Scott, will be coming to South African and African viewers simulcast on both AMC (Kwese TV 130) and Sundance TV (DStv 108) from 27 March at 21:00, and as an Express from the US title. South African viewers will see the big-budget series a whole month before the United Kingdom, where The Terror only starts on 24 April, as the first of 2018's most anticipated new premium TV series of the year. The terrific new limited-series period drama from Scott Free Productions, Emjag Productions and Entertainment 360 in association with AMC Studios, is based on Dan Simmons's 2007 book by the same name. 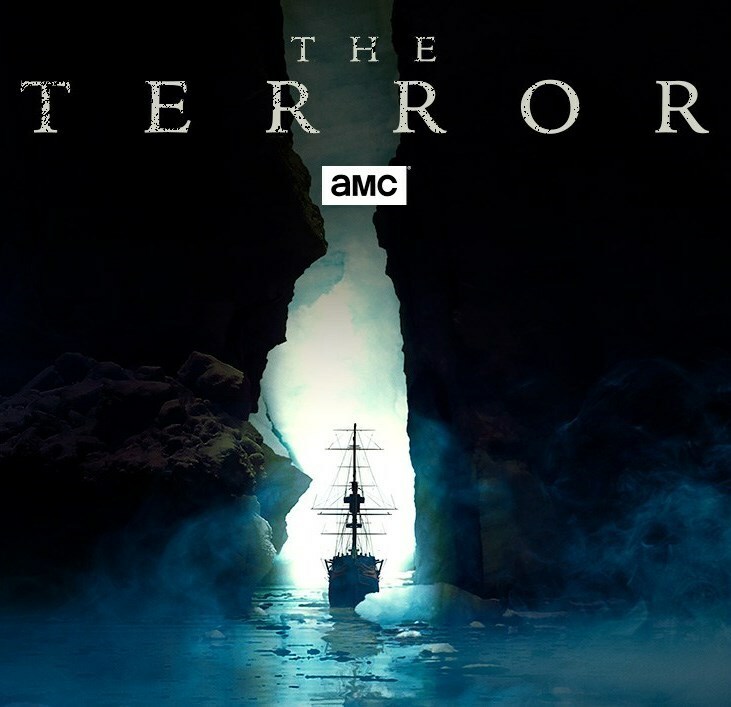 The Terror will start on 26 March in America, and literally at the same time in South Africa and Africa where pay-TV subscribers will be able to see the 10 episodes it in high definition thanks to AMC Networks International that in 2016 snapped up the drama series for an exclusive premiere playout next month on AMC Global's channels in territories across Africa, the Middle East, Europe and Latin America. 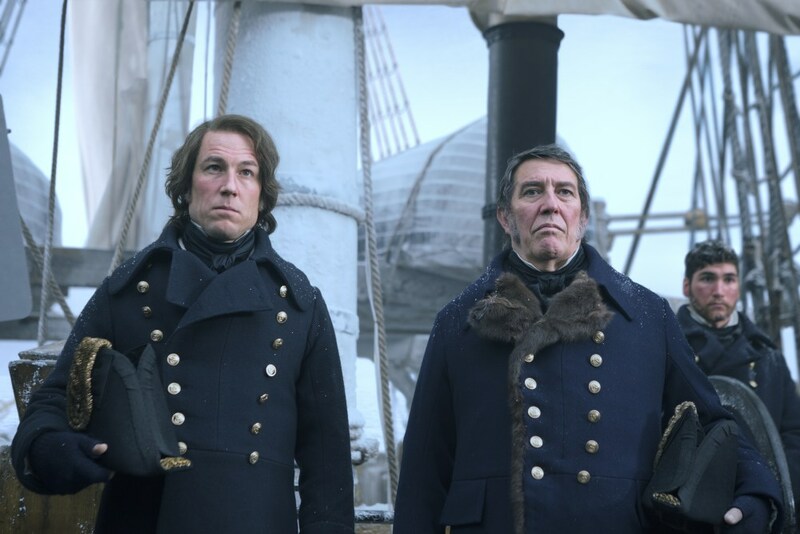 The Terror will have with new episodes every Tuesday until 29 May, with a cast including Jared Harris, Tobias Menzies, Ciaran Hinds, Matthew McNaulty and Nive Nielsen as the enigmatic Lady Silence. The Terror's teaser trailer looks incredible and tells the tale of the British Royal Navy's perilous voyage in 1847 into unchartered territory and the various crews' desperate attempt discover the Northwest Passage sea route in the frigid Arctic Ocean through the Canadian Arctic archipelago. The Terror, playing out as a bit of a horror story since it's done by Alien director Ridley Scott, is inspired by a true story with the drama series that will have viewers really at the edge of their seats with treacherous conditions, dwindling and limited resources, dwindling hope, fear of death, somewhat of a supernatural mystery and several secrets and shocking revelations as crews are pushed to the brink of extinction. 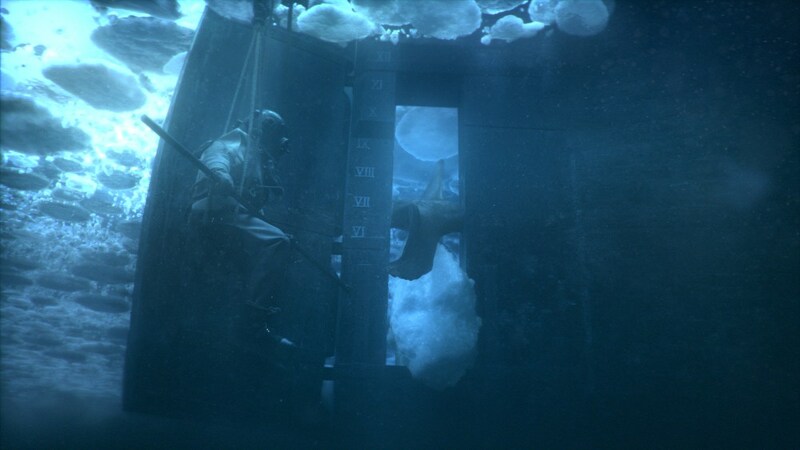 While everything starts out fine, soon the ships are trapped in the ice and people start dying. Frozen, isolated and stuck at the end of the world, The Terror shows all that can go wrong when a group of men, desperate to survive, struggle not only with the harsh elements, but with each other. While desperately searching for a way through, the crews are attacked by a mysterious predator that stalks the ships and their crew in a suspenseful and desperate game of survival. Meanwhile various in-fighting and political, naval intrigue are playing out aboard as each of the top-ranking naval officers are scheming for various reasons, while Lady Silence is trying to protect her land and her people. The real expedition to discovery the Northwest Passage led to more than 120 crew members inexplicably disappearing. That of course has led to a lot of speculation over the year of just what exactly happened on board. After almost 175 years of searching, the ships were discovered by arctic research groups in 2014 and 2016. 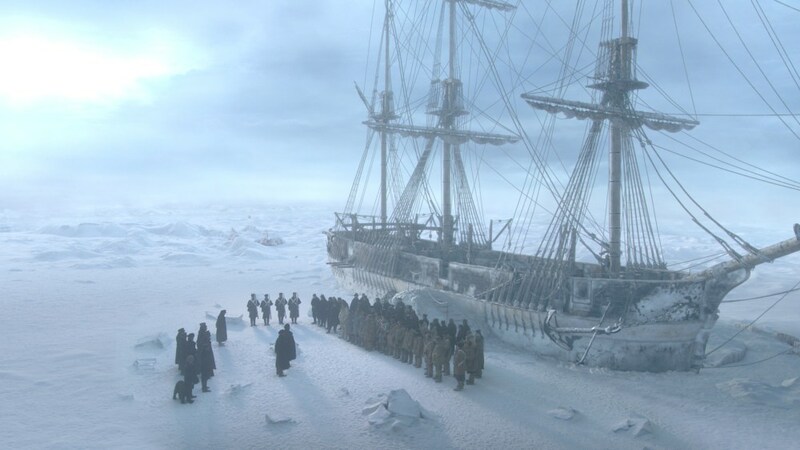 The Terror was filmed in Budapest and is named for one of the two British ships, the HMS Erebus and HMS Terror that undertook the perilous journey. 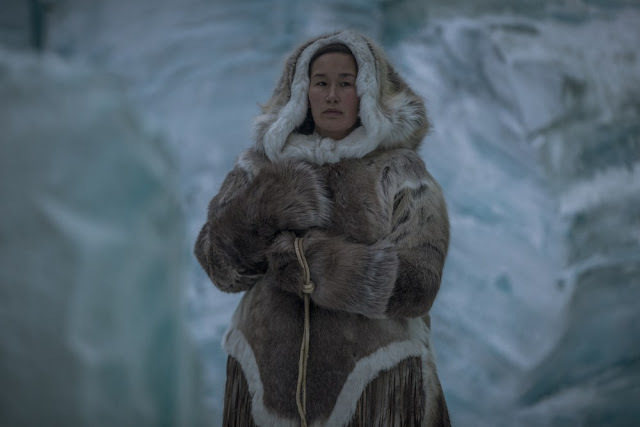 "The Terror captures a rare combination of fascinating history, complex and flawed characters, the inextinguishable human spirit and the horror and promise of an uncharted world,"says executive producers and co-showrunners David Kajganich and Soo Hugh in a statement. "We are looking forward to bringing viewers into this world." 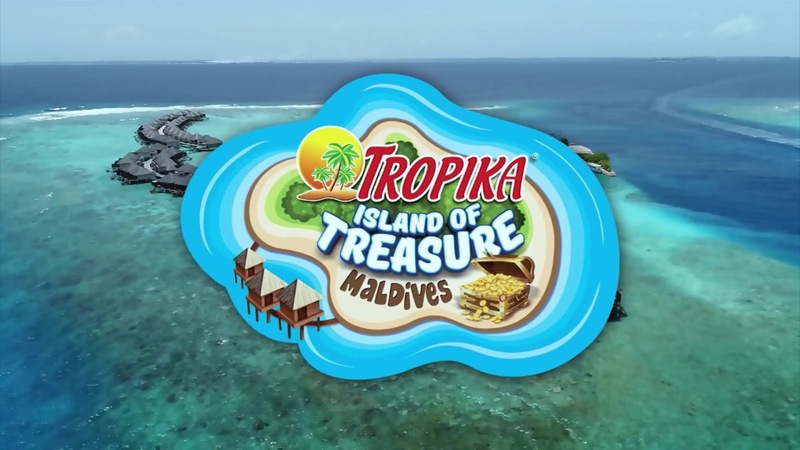 TV CRITIC'S NOTEBOOK: Such a yawn 3 episodes in, I can literally not give a proper review of the 8th season of Clover's Tropika Island of Treasure Maldives on SABC3 due to the show's slow start. Three episodes in, the lethargic and white-washed, over-exposed 8th season of Clover's Tropika Island of Treasure on SABC3 is such a yawn to watch (nobody has even been eliminated yet. Don't ask.) that I haven't even been able to do a review about this weird slow-burn, no-burn advertiser-funded production (AFP) yet. What I've already noticed - and remarked on - is how Clover and Tropika's communication around the show to the press has been worse than the previous season in my opinion, and how it hasn't done Tropika Island of Treasure any favours with the media in creating a good impression. In fact it's created somewhat of a bad impression with this TV critic, and I think also with others covering the medium of television who I've spoken to since and who shared their thoughts with me. As I've said, we're now 3 episodes into this "Survivor-lite" type product placement show from Cardova productions. I wanted to specifically wait (which I usually don't do) to sample more of the show before I give an honest impression in terms of a review of the new Tropika Island of Treasure season). Of course Clover and Tropika didn't bother to do anything to try and show or preview Tropika Island of Treasure to TV critics and media who it didn't invite to Sun City or even told either beforehand or afterwards about the media event held there in January. This lack of help to even show the show - part of the list of why I said the communication is way worse than before - of course meant that there was no way to actually see the show before it started airing. It signaled to me and others covering television, that it didn't matter to Tropika to actually get the show in front of the eyes of TV critics - something programmes actually do do when they believe in their shows and want to let viewers know through letting those covering television know. Also note that because it's an AFP, SABC3 publicity isn't responsible for communicating about the show, but Clover and Tropika's marketing and publicity are and the people they designate to do so. I decided to watch Tropika Island of Treasure Maldives old school - as a linear broadcast, but 3 episodes in, I'm flummoxed by how uneventful and borderline boring it is. Nothing much has been happening in Tropika Island of Treasure, and that says a lot in this modern TV era where viewers need a pay-off per episode or a hook to lure them to watch the next one. I truly thought that after 3 episodes TVwithThinus would be able to post a review. But no. So little of substance has been happening - nobody has been voted out, there's been no big challenges, (there's has been a lot of Tropika bottle shots), that it's all been pretty "blah" with apparently more lower grade "celebs" than in the much better 7th season. Of course nobody has explained the change of more initial "set-up" type episodes, and the change in approach. Of the Sun City press briefing and what was said there - as I've remarked before - there's been nothing. If there have been stories about the quotes and answers that originated from there - if actually anything of substance was asked and answered there - it passed me by. Where is the game master introduced in the previous season? Why has this role suddenly been eliminated? Why is the season set in the Maldives - a place that tourists are warned about and that nobody wants to travel to at the moment while it is in the grip of political unrest? How is the bad political situation in the Maldives impacting on the show that is, one would suppose, once again being done in conjunction with Maldives Tourism that presumably wanted Tropika Island of Treasure to make it look good and is now somewhat wasted effort? It also feels as if there's more D-listers on the show than before, except for Melinda Bam. How exactly were these people chosen? None of these questions and others that I would have loved to ask at a media briefing, there's been any opportunity to ask. It's striking how different and badly Clover's Tropika of Island of Treasure compare with M-Net's Survivor South Africa Philippines currently filming in the East Pacific. Months before its May broadcast, as a TV critic I've already had a huge amount of access, did interviews, was invited for an actual set visit and met the crew and producers and banked stories for Survivor SA. The same happened for other media. Last year Tropika Island of Treasure was way better in my personal opinion (for the first time!) in how it actually handled the media, communicated and was in tune with what was needed after many years of just not getting it and not knowing how and what to do properly. And it's not just this TV critic who the show created a bad impression with. Two weeks ago at M-Net's Dancing with the Stars SA cocktail party a member of the media came to me and without me even asking, started to dish about the Tropika Island of Treasure Sun City media day and media briefing. I just listened and shook my head as I took another sip of my wine. The person told me: "I did a lot of coverage and did a lot of tweets until I discovered other media are VIP and I'm not VIP. The moment I discovered some media are even staying over at Sun City but I have to go back, I decided I'm stopping the tweeting. I decided no more coverage and I haven't since". The person told me: "We had to wait in a shuttle for other media to arrive and it was so warm. Not even like a cooler box with drinks." And then made big eyes: "And you know ... It's Tropika!" Here's is someone who actually was at Clover's Tropika Island of Treasure media day and who was still left with a very negative impression at the end of the day because of how the person was made to feel about the brand. It's anecdotes like these - and there's others but one is example enough - that just made me wonder why Tropika Island of Treasure didn't keep to what it did last year and how much better everything was. 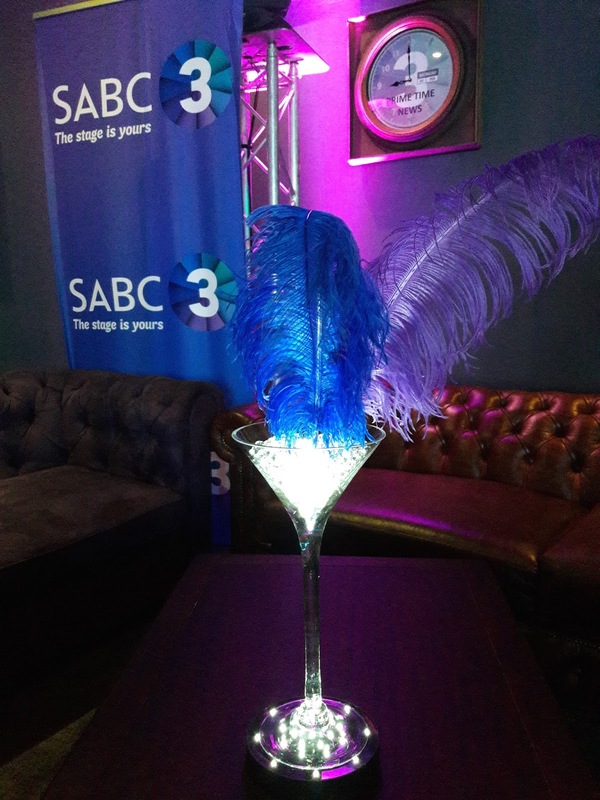 It's the second year that the show is on SABC3 after jumping from SABC1 to SABC3 for the first time last year. Yet, somehow Clover isn't fitting in with SABC3's way of doing professional programming publicity at all. I was even told that Clover and Tropika didn't invite me to the Tropika Island of Treasure Sun City media event because Tropika Island of Treasure would be at SABC3's recent programming media event and would be highlighted there. Awkwardly and badly it didn't happen. Tropika Island of Treasure wasn't discussed, the show wasn't highlighted, and there was nobody appearing in the show or who produced the show there. There was nobody from Clover or Tropika even there as far as I could see. There was nobody to meet, and nobody appeared on stage like the other shows' talent. 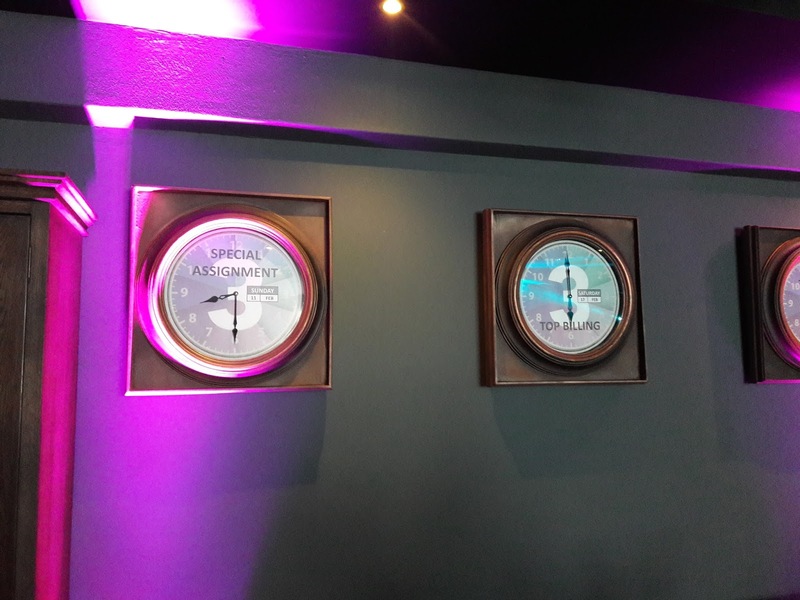 Absolutely nothing - and I mean nothing - from Tropika Island of Treasure came out of the SABC3 event - and that after I was told there would be an opportunity to ask questions there and which is why I wasn't told about the Sun City media event. How is a TV critic supposed to cover a "no-show"? Well, I will give my time and watch a 4th episode of Tropika: Islands of Treasure - Maldives next week on SABC3 and then share thoughts. But more time and attention than that I'm definitely not going to give a show and brands that in my opinion failed to bother and should have done much more and better, much earlier in the game. Yet another new SABC News blooper as SABC2's Venda news tells the nation: Nkandla saddened by the resignation of 'Jacob Ramaphosa'. The SABC's SABC TV News division keeps slipping up with amateur and embarrassing mistakes, with the anchor of its Venda TV news bulletin on Monday on SABC2 suddenly referring to "Jacob Ramaphosa" during a story about former president Jacob Zuma and Nkandla. The on-air slip-up came just after Peter Ndoro was sent on indefinite leave "to rest" after botching the English news on SABC3 and SABC News saying "Cyril Ramaphosa has passed away" instead of Zimbabwe's Movement for Democratic Change (MDC) leader Morgan Tsvangirai who died earlier last week. The SABC is working hard to try and restore credibility and viewers' trust in its news offering following Hlaudi Motsoeneng's infamous censorship decree and undue editorial interference into the SABC’s newsroom but the public broadcaster keeps having to apologise for mistakes. 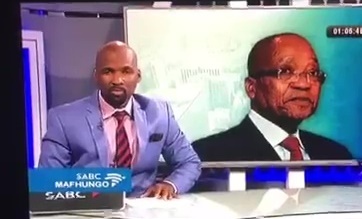 In the latest SABC News on-air blooper, the Venda news anchor said told the nation that "After the resignation of president Jacob Ramaphosa, the residence of Nkandla was saddened". In August 2017 the SABC in its lower third banner referred to Nkosazana Dlamini-Zuma as "mini-Zuma". Just last week the SABC said in a statement that it would “like to ensure all its audiences that it remains fully committed to delivering news that is fair, balanced and accurate". AWKWARD. The SABC's on-air SABC News errors continue, despite the SABC having said 3 times prior now that it is taking steps to prevent re-occurences. INTERVIEW. 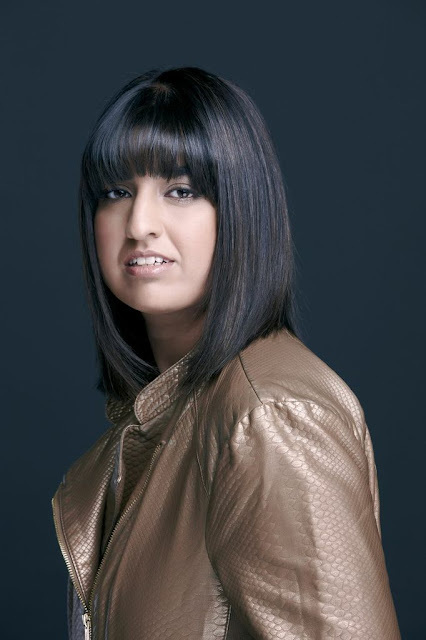 SABC3 channel head Aisha Mohamed on the channel's new schedule, The Amazing Race, Real Talk with Anele, Top Billing and Bollywood - and what's happening with the news and Supernatural. 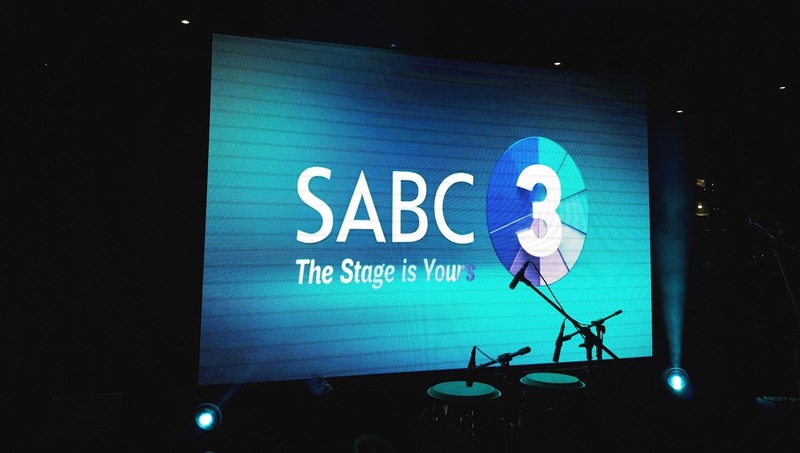 At the beginning of February SABC3 once again changed its schedule, with SABC3 channel head Aisha Mohamed saying the channel's ongoing prime time evolution "is not the beginning nor is it the end. It's definitely the start of much more. It is our journey". TVwithThinus sat down with Aisha Mohamed, to hear why the new schedule change happened and what it means, why Top Billing moved to Saturdays and why the news and Real Talk with Anele moved to later timeslots. Aisha explains how SABC3 is trying to catch up with The Amazing Race, those Supernatural episodes that got cut and new seasons coming, what viewers' response are to the Bollywood content and how SABC3's schedule is responding to viewer feedback. Why did SABC3 decide to change its schedule again from the start of February? The changes have been coming for a while and we thought it would be really great to start a new year. The changes are definitely part of our thinking and our strategy and we've spent a lot of time so that the changes we put forward from February are sustainable but also come with longevity. We decided to launch it in February and it can sustain itself to as soon as May when we get new titles in again, and then in the next 3 months again, we get new titles in again. So it made sense for me to start a new year with a new, fresh feeling. We also had a lot of feedback and time to get feedback from viewers. So we've spent time reading that feedback, researching that feedback, having a look at what people actually want - you know, what are they saying to us. What is nice about our audience is that they're very vocal. So they will tell you exactly what are the things that they like and that they don't like. And that actually assisted us in this process, with simple things like Real Talk with Anele that we've moved a little bit later. They're very much a part of those decisions, telling us things like "I'm not home when this is on" and SABC3's schedule is very much about those decisions - so we considered all of those things. The thing is that you're never going to make everybody happy all the time. It's a competitive schedule for us as a channel, so we can compete aggressively but also make our viewers happy in the same vein. 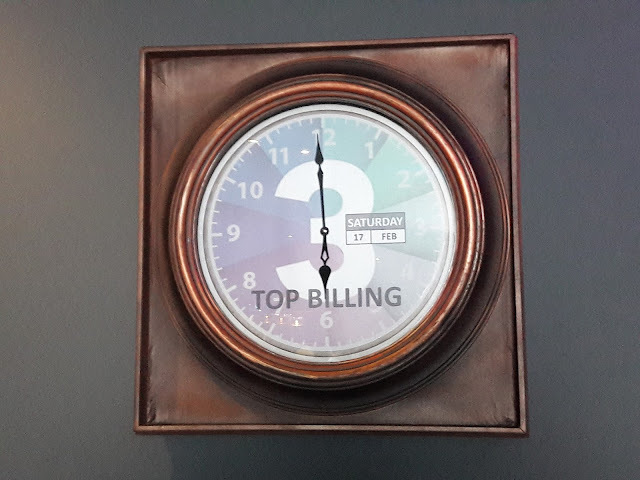 Can you talk a bit about Top Billing and its 25th anniversary and what a show and a brand like that and its longevity means for South Africa and for the SABC and SABC3 and why did you decide to move it to Saturdays at 18:00? That Top Billing has been on the air for so many years is a testament to the kind of product that it is and the fact that it has such high value. It is regarded in the viewers' mind as something that's really unique. Top Billing is a very unique property. It encapsulates a little bit of everything. But also we found that in the viewing experience we're moving into a very different age. So as Top Billing is changing and evolving - and you would have seen if you've watched it for the last couple of months - it's definitely moving to a different direction. 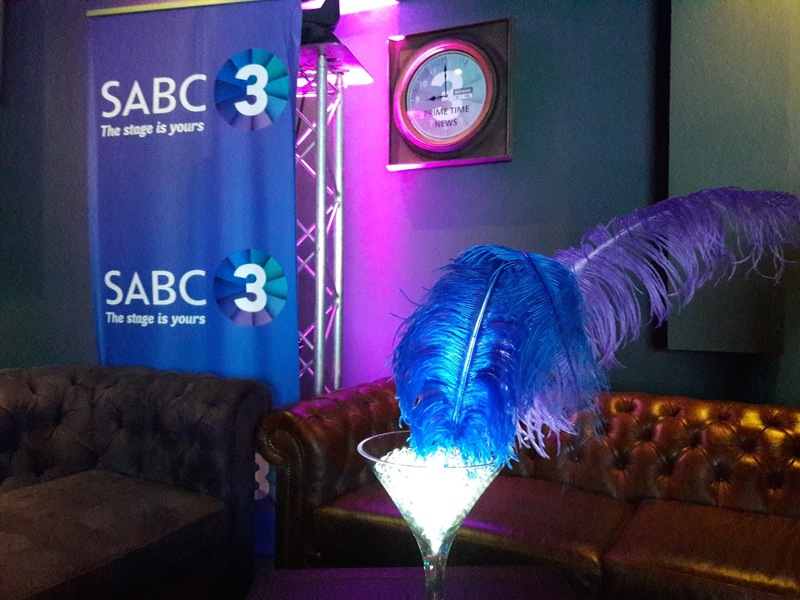 It's moving to the direction that SABC3 is moving, but it's also moving in a digital age, it's savvy about how it's responding to it's viewers from a social media perspective, but it's also about ensuring that we give it a home that it can really shine. And we felt that Thursdays are definitely our home for reality and for drama and that kind of thing. We found from a viewer perspective those people appreciated watching it over the weekend, so it's about giving Top Billing the opportunity tor really shine on a Saturday, and with a repeat on a Sunday. So we're really hoping to see good things in the new timeslot. The move of the SABC's English TV news bulletin from 18:00 to 21:00, is that to make a less interrupted flow? That's exactly what it is. So it was about flow and balance, and also allowing our viewers the opportunity to have news and lifestyle strands where they are. We've got a 2 minute bulletin at 6 o'clock that's you'll still get that's very much the headlines. And then a very detailed bulletin at 9. So it's 2 minutes at 6 and then a very detailed bulletin at 9 encapsulating what's been going on the day. Also our viewers are very savvy. They're aspirational. They are aware. They are aware of what's happening around them. Often a lot of the news stories, they've seen what's going on around them, they know what's happening. So it's about bringing it all together for a more detailed conversation at 21:00, which I don't think we could have done at 6 o'clock. And then the rationale for moving the talk shows Afternoon Express and Real Talk with Anele to early prime time, is it to leverage the more viewers that potentially available later? So definitely, definitely in terms of Real Talk with Anele that has been the feedback from viewers who told us "I have to catch it on YouTube", "I can't believe I missed it again today", "I can't believe I missed so and so" - it's all of that feedback. So the later timeslot is a testament to the show's success? Yes. Absolutely. Also, it's a SABC3 production. So we're invested it in. And we want to give it the best possible opportunity to shine. So 6 o'clock makes a lot of sense. And I hoping that people are comfortably at home then and can enjoy the viewing experience as opposed to being still at work, which is the feedback we got. Also Afternoon Express has sustained itself over time. It came on as a new show, we weren't sure how it was going to do, and it really has improved our schedule tremendously. A lot of viewers have been scared about the possibility of Survivor and The Amazing Race disappearing from SABC3's schedule? We've kept Mondays as adventure, so our reality and adventure on Mondays sustain itself. So Survivor is definitely still on a Monday. We chose to put The Amazing Race on a Wednesday because we want to bring our seasons forward. So we're looking at what's happening with how many seasons there are and where we are at, and to bring things forward so that we can give viewers the next season sooner rather than later. So we've got season 25 of The Amazing Race on Wednesdays and then we've got Survivor coming in shortly. And we've got further seasons actually. So there'll be a one and then a break and then another one. But again, just to make sure that we maintain interest and make it relevant, because we find that the gaps otherwise are a bit too far apart. Will SABC3 ever show the last four episodes of Supernatural's stopped season? We are still playing the last 4 episodes out. In the schedule change one of the shows that were affected was Supernatural on a Sunday night. Unfortunately it is a little bit later, so it's not in the same timeslot that it was at, but we are most definitely showing it a bit later, so we are finishing the season. And it's nice that we also have the next seasons of Supernatural coming. I think its 11 and 12. So they're coming in and will come in on a drama slot on a Wednesday. What has been the feedback in terms of the Bollywood content and will there be more of that? So we're very excited about that. The viewer feedback has been well around Bollywood, also the pairing of Mela and Bollywood together was also very much in favour. The movies feedback was really great. So we got a lot of feedback around the types of movies. We've also got really good titles, and we've got a good combination of for instance Hindi, Tamil and how we can pair them together and can ensure that both communities can enjoy that equally. So it is a bit of a touchy area sometimes. So we are very careful how we schedule them; so that we ensure we have enough titles, pair them nicely. Also we try to get latest movies, we've just acquired a lot of new ones with some new titles coming on as well. I think we acquired 20 or 25 new ones.